1303 TEL AUSTRIA (1963) Flowers*. 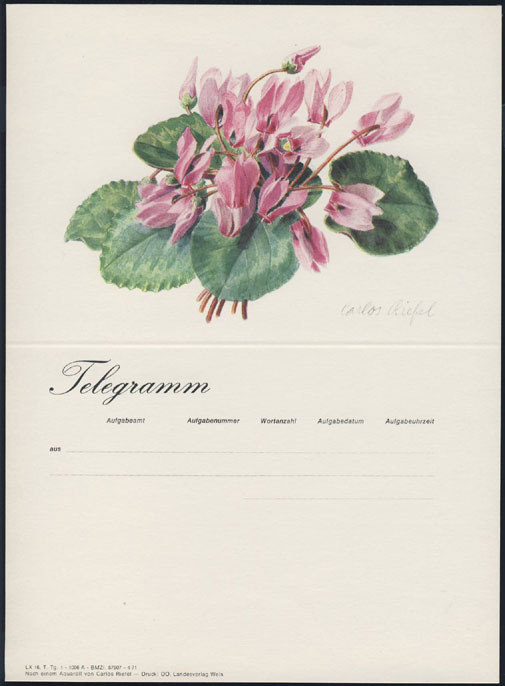 Multicolor telegram (N) No LX 20 with nice illustration. 1304 TEL AUSTRIA (1963) Flowers*. 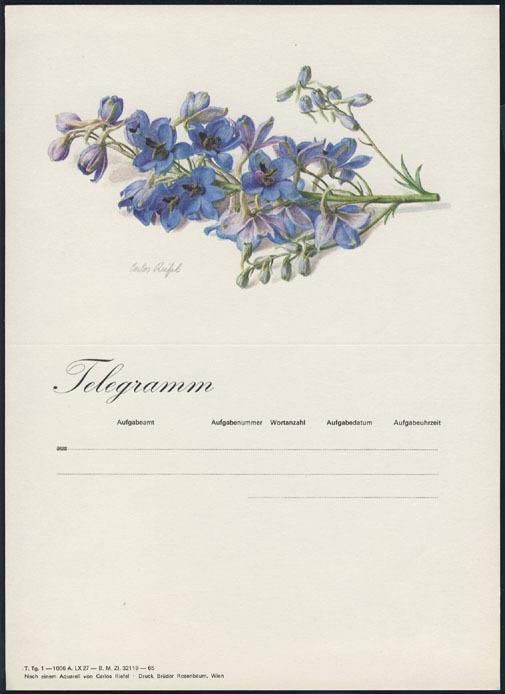 Multicolor telegram (N) No LX 21 with nice illustration. 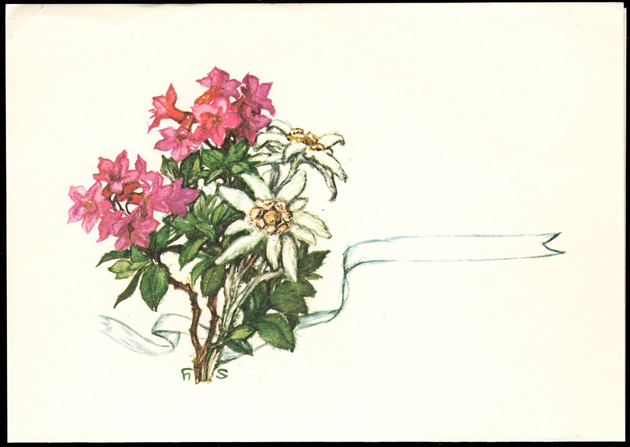 1324 TEL AUSTRIA (1971) Cyclamen flowers*. 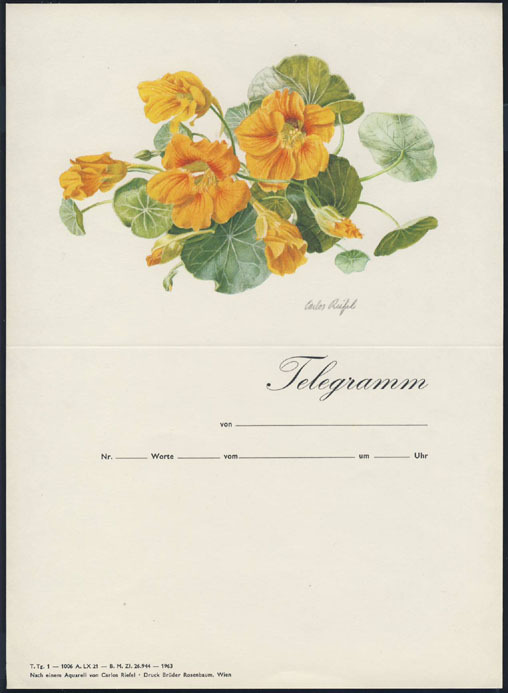 Multicolor telegram (N) No LX16. 1327 TEL AUSTRIA (1973) Flowers*. Multicolor telegram (N) No LX27. 1820 TEL AUSTRIA (1973) Edelweiss*. 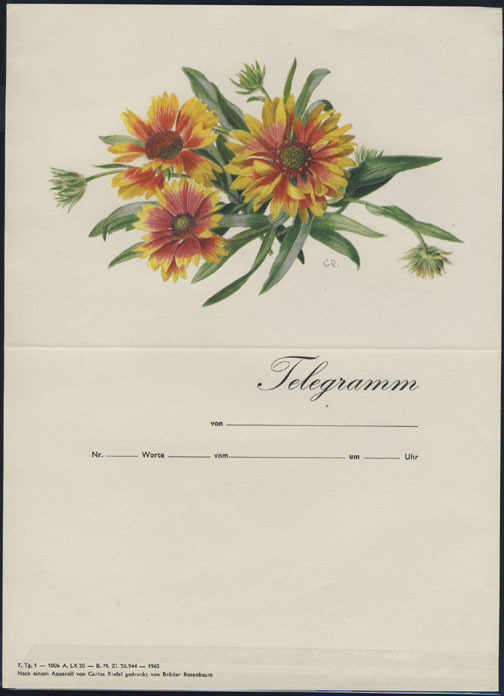 Attractive multicolor telegram (N).